We stopped by our neighborhood fruit shop, and lo and behold, there was a nice big pile of mangosteens for sale! It’s the first time I’ve seen them this season, and they won’t be around for long. I’m not the only one who feels this way. I saw this article in the New York Times from someone who’s an even bigger fan than I am. 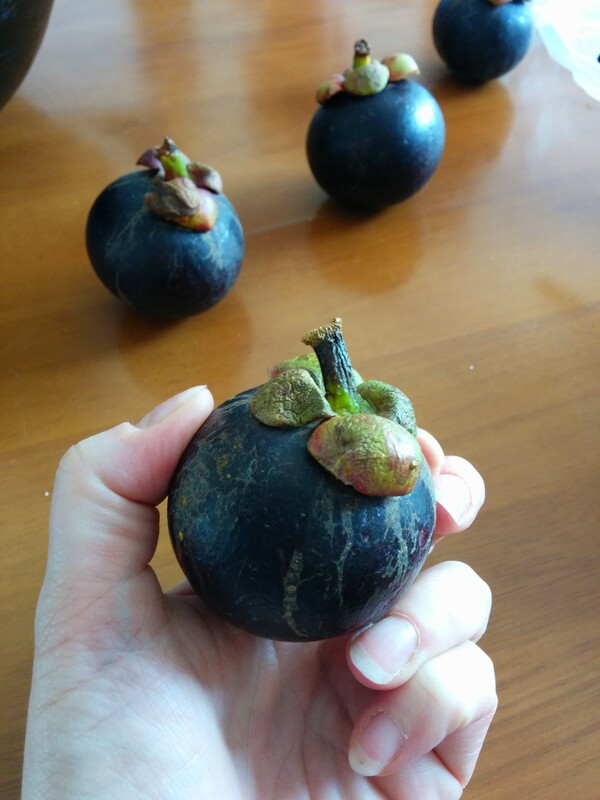 “No other fruit, for me, is so thrillingly, intoxicatingly luscious…as a ripe mangosteen,” the author says. 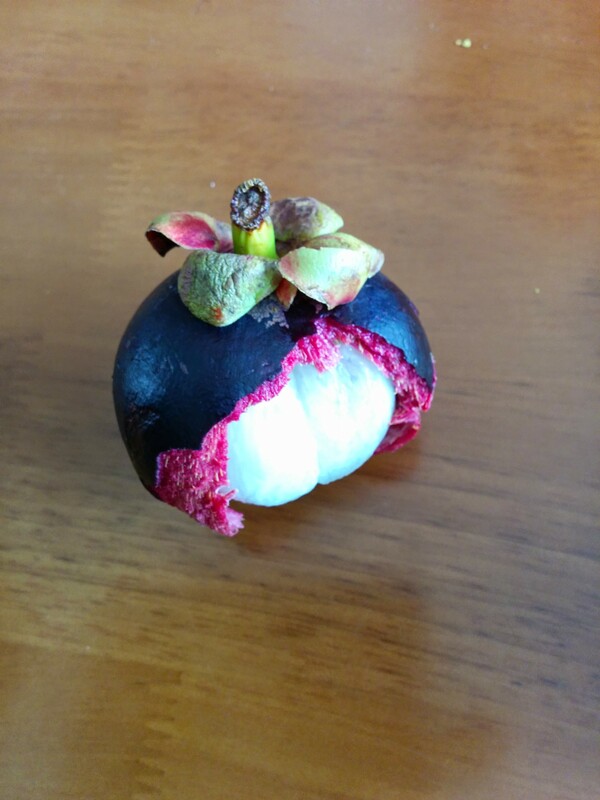 Mangosteens have a hard exterior shell that you can crack open by squeezing with your hand (though it’s probably more dignified to use a knife). The inside looks like the inside of a clementine, but all white instead of orange. The segments are softer and sweeter than citrus, and just so darn good. I plan to eat early, eat often. Tried finding this in my previous city Xiamen, but to no avail. What’s the typical season for it? This fruit is delicious when put in chrysanthemum tea! I think it’s usually summer, at least around here. I will have to try it in chrysanthemum tea. Thanks for the tip, Lawrence! You’re welcome and greetings from Shenzhen!